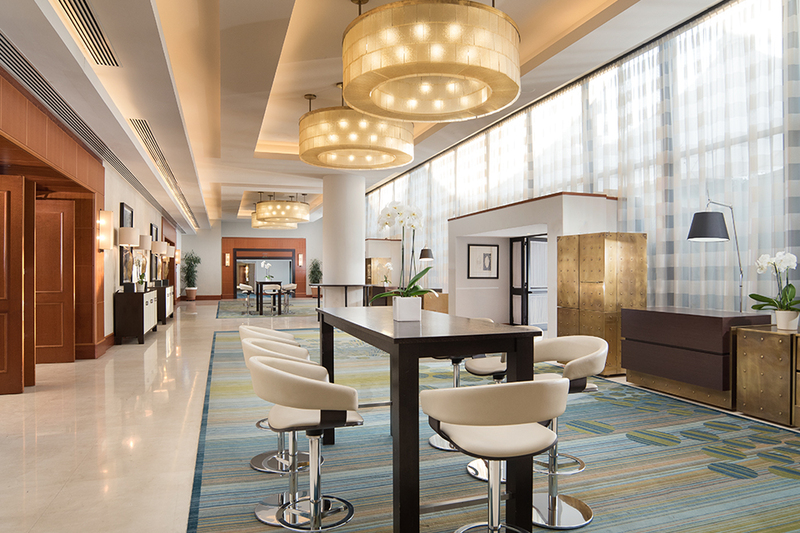 The Sheraton Roma, a true urban oasis, in a constant evolution in the heart of Rome’s business district. 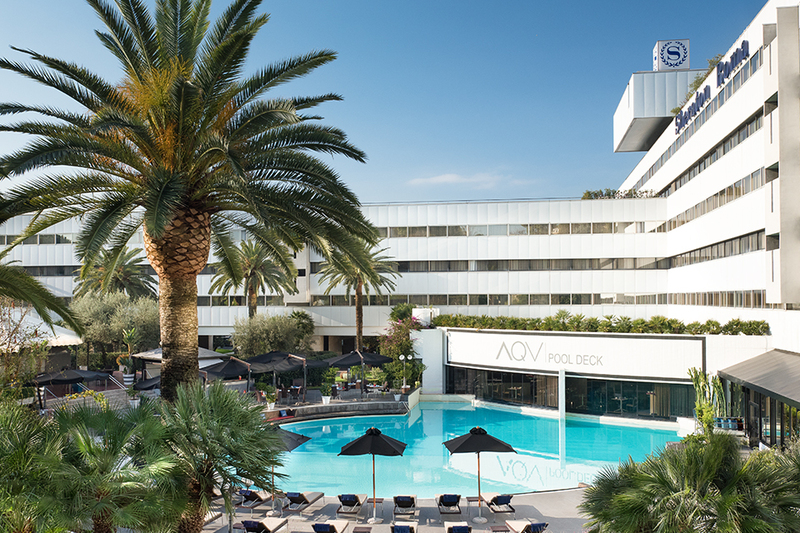 Open in March 1983 as the first Sheraton Hotel in Italy, the hotel gained much recognition throughout the years, including being voted Best Business Hotel in Italy by the readers of Condé Nast Traveler and ranked among TOP meeting hotels in Europe by CVENT in 2015-2017. Today, thanks to an ambitious renovation project the Sheraton Roma presents its new look, which has improved its already high standards of group and individual hospitality for both business and pleasure trips. The hotel is located in the monumental EUR neighborhood, between the historic center and Fiumicino Airport. The shuttle service operates on a prefixed schedule connecting the hotel to/from the city center (near Piazza Venezia) and to/from Fiumicino airport and has been redesigned to offer an exclusive wine/gastronomic and shopping experience with dedicated stops to Viale Europa and EATALY Food Court.